Have you seen the social trend popping up the last few weeks using the hashtag #10yearchallenge? We liked seeing these and thought as we completed our 25th year recovering data we surely could also get involved with our own spin. Some of our followers online showed interest in learning more about exactly what was shown in the photo so here’s an expanded breakdown. Recently, we received this laptop for recovery. The fire had ravaged the client’s home, destroying the laptop, and the backup device sitting nearby. When we receive fire-damaged hard drives and computers in need of data recovery service, usually they aren’t in terribly bad shape. As you can see in these photos, unfortunately wildfires in Fort McMurray, Canada incurred extreme destruction on these drives. Sometimes the effects of a disaster are too much for recovery. If you have a computer that you are getting rid of you need to take special care of the data you have stored inside it. Whatever information you have saved on the hard drive inside: photos, documents, financial files, passwords, emails — personal information, does not simply go away if you hit delete or drop stuff in the Recycle Bin. Ben Popken at NBC did a video showing some low-tech solutions to this problem. He trashes hard drives with everything from hammers and baseball bats, to submerging in water and burning with fire. Watch the video after the jump. 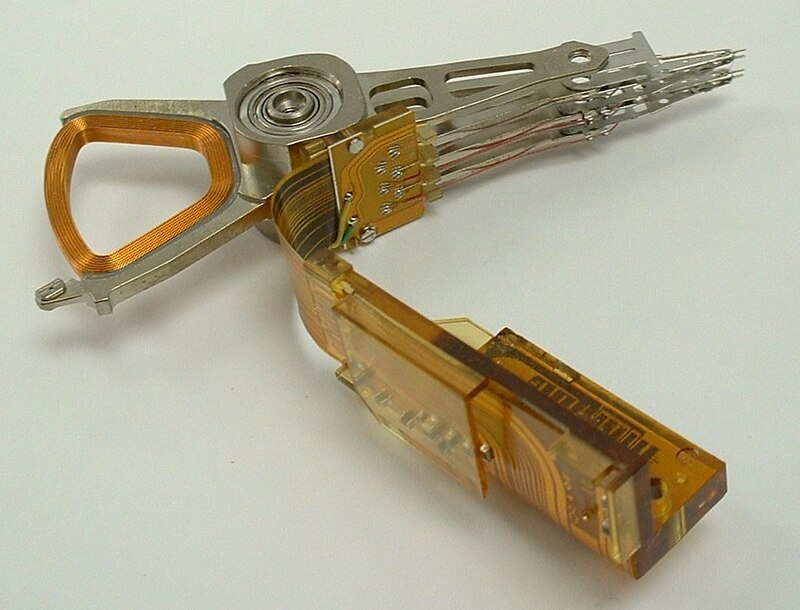 Look at the size of this hard drive – and we’re not talking about its capacity. No, not the ones pictured here…..watch the video after the jump to see the vintage. We couldn’t help but ‘spy’ data loss in the wild. The new James Bond film is arriving in theaters and we noticed this in the trailer. Hard drive gone missing, Mr. Bond? We’ve talked about data safety and protection before. Besides the destruction of information from crashes and deletion, threats to your data’s safety come in the form of threats to its security, and that affects your privacy. Tech columnist Brian Krebs has a great article where he tries to tackle the challenge of explaining why a hacker would want to get into your PC. What’s interesting is that most of the items listed are some sort of data or personal information. 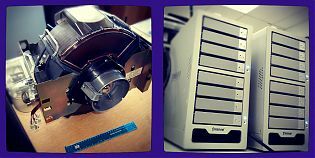 For fun, here is a comparison of some old storage media with something in our data recovery lab right now. Do you know what this is being loaded onto a plane? Unless you have experienced a hard drive failure, you may not be aware of the complexity how data is stored. A CBL data recovery expert sees a string of ones and zeroes organized in a perfect pattern otherwise known as your once-in-a-lifetime trip to Paris. It’s all about perspective. 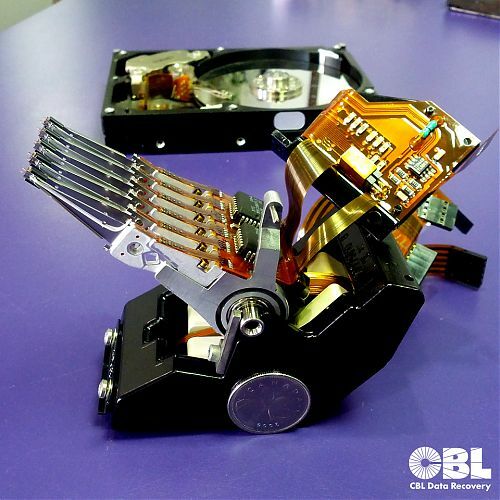 We can definitely appreciate coming up with creative uses of old hard drives here at CBL. Okay. Has the search begun yet for a unique gift for your dad, stepfather, or grandfather for Father’s Day? Does Daddy store his data on a Windows laptop, PC or server? Can data live to see another day after a laptop crashes to the ground? Here’s a picture of a head stack assembly removed from a hard drive. It was taken from a multi-platter drive during a recovery. So how do you remove the head stack from a hard drive? Very carefully. Can you afford to be without your data? Hard drives don’t discriminate. 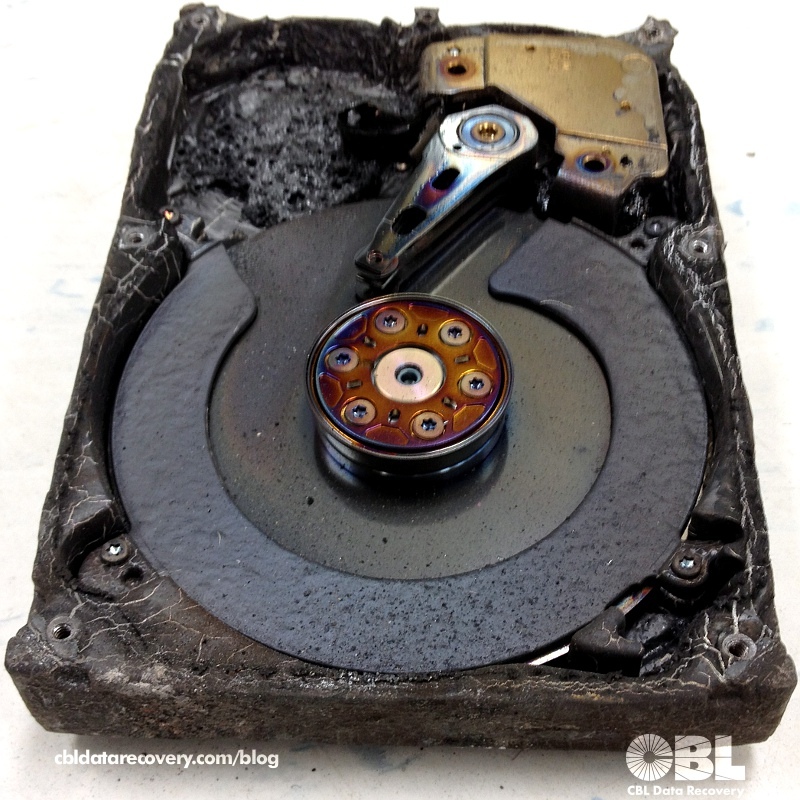 Whether the economy is in a recession or a boom, no one is immune to data loss. It’s never a matter of IF data loss will happen; it’s simply a matter of WHEN.